Rambling River Pastured is a small family farm in Gettysburg, PA, that raises a variety of poultry and pork in a sustainable manner, providing meat and eggs that are much more flavorful (and nutritious) than anything found at the grocery store. The animals are raised in the open air and sunshine, where they live healthy lives in small flocks or herds. Our farm is a pastured microcosm: hogs, goats, and poultry rotating on pasture, with cats and livestock guardian dogs operating as natural pest and predator control solutions. 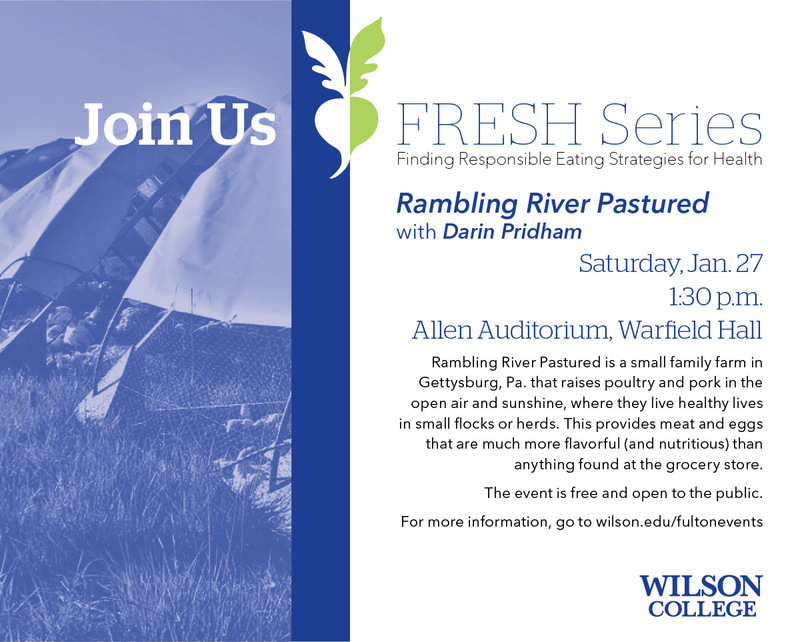 Join us for a presentation from Darin Pridham and Family, to learn about their sustainable farming practices at Rambling River Pastured.